From Arabic-Persian shah mat (= the king is dead). Persian shah ( = king) derives from Old Persian shaya ( = king); Arabic mata (= he died), is related to Hebrew מת (of same meaning, see מות). 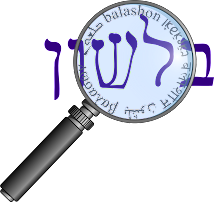 The original ת (in Arabic mata) was changed to ט at the suggestion of H.N. Bialik (1873-1934) to avoid the use of the word 'killed' in chess terms. And as we've seen earlier, mat מט can mean "down", and so שחמט - would mean "the king has been thrown down, overthrown". Stahl points out that Agnon did spell shachmat with a tav - שחמת , but adds that Bialik's spelling (with a tet) might be more correct etymologically as well. Every single word connected with the game of chess in Arabic is either borrowed from the Persian and Arabicised or translated from the Persian into Arabic. On the other hand, all chess terms in Persian are native and not a single one is borrowed from the Arabic. As the term shah-mat is used in both Persian and Arabic (in the latter sometimes the def. art. al- prefixed to shah), we would expect the term to be a borrowing on the part of the Arabic and not vice versa. the Persian word mat, literally meaning " left (without a way to escape) ," or " at a loss," or " perplexed "; hence "pressed" and " defeated," fits in quite satisfactorily. This also fits in with the Hebrew מט (overthrown) more than מת (killed). Undoubtedly what happened was this : the Arabs borrowed the game and its terminology from the Persians. The first element in the compound shah-mat was already familiar to them, and to it they prefixed the def. art. al-; the second element was unfamiliar. They observed, however, that when the shah was made mat, the game terminated. They naturally concluded that the shah was dead, and by the familiar methods of popular etymology connected it with their own verb mata. Then through the Arabic the word was introduced into the European languages. One interesting side note - this site shows us how a number of words that we don't associate with chess - check, checkered, cheque - all derive their meanings in English from the game chess. And one last bit of trivia. Rashi on Ketubot 61a, discusses a game called אישקקיש - and this is also a variation of the game chess, related to our shachmat.